Wormwood was @SpeciesofUK from 30th September to 13th October, 2013. Wormwood is a herbaceous plant known for its medicinal uses and powerful essential oils. It’s famous as one of the main constituent herbs in the spirit Absinthe. Wormwood is from the genus Artemisia. Artemisia contains somewhere between 200 and 400 species, known for the bitterness of all parts of the plant. Artemisia is part of the larger daisy family, Asteraceae. Alongside common wormwood, the other Artemisia species you’ll find growing wild in the UK are Sea Wormwood, Field Wormwood and Mugwort. 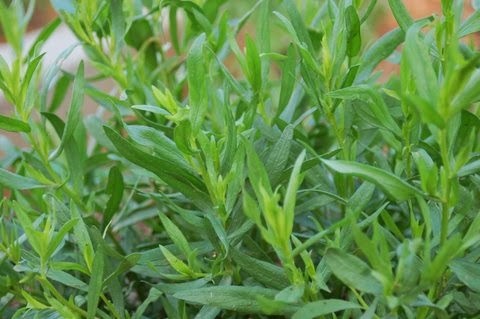 Tarragon is also commonly grown here but is not native. 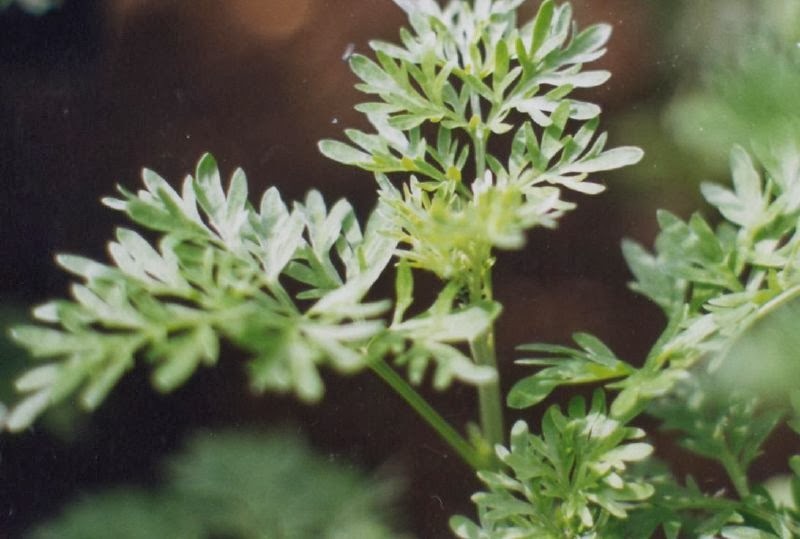 The species name of wormwood, absinthium, comes from the Greek word ‘absinthion’ meaning ‘undrinkable,’ reflecting its very bitter taste. 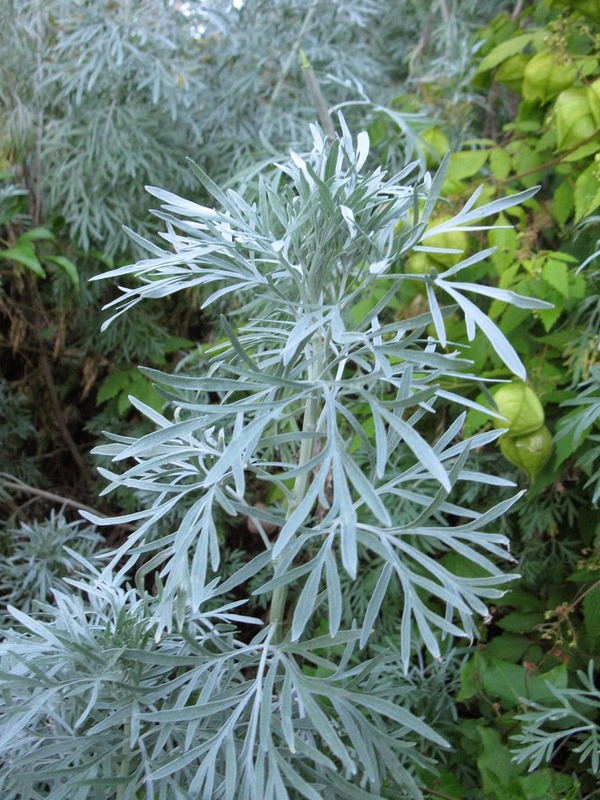 Wormwood is a plant of muted but silky-looking colours. 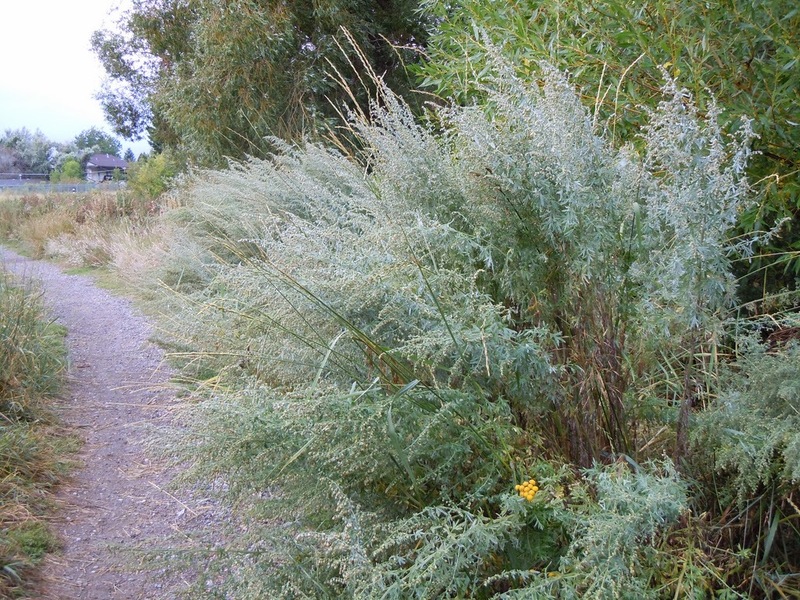 Wormwood has a perennial fibrous root and branched, erect, grooved, leafy stems. The flowering stem is around 1m high, whitish, with fine silky hairs. 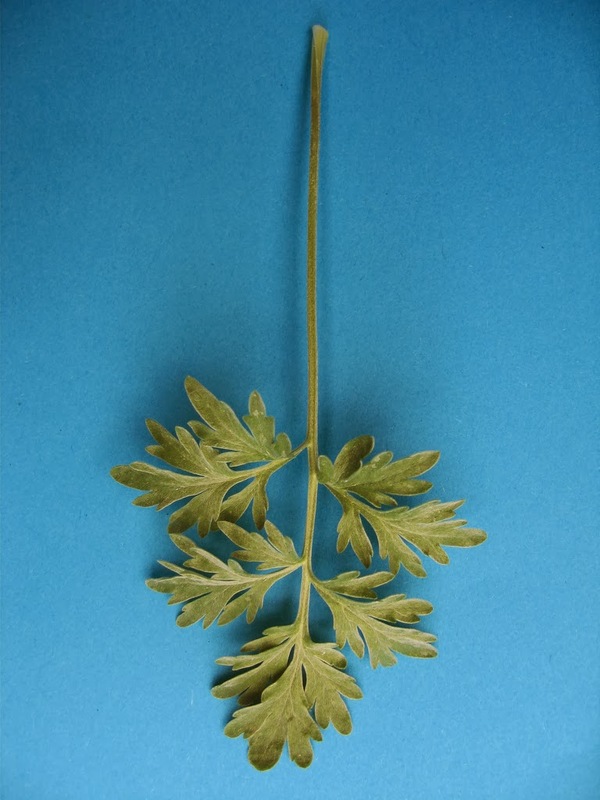 The leaves are about three inches long and are cut deeply and repeatedly into narrow, blunt segments. Around the flowerheads, they are reduced to three or even just one segment. The leaves are greenish-grey above and white below. They bear many silky trichomes (hairs) which give them that silvery look. The leaves of wormwood are aromatic and contain many tiny oil-producing glands. The flowers bloom from July to October. Pollination is by wind. 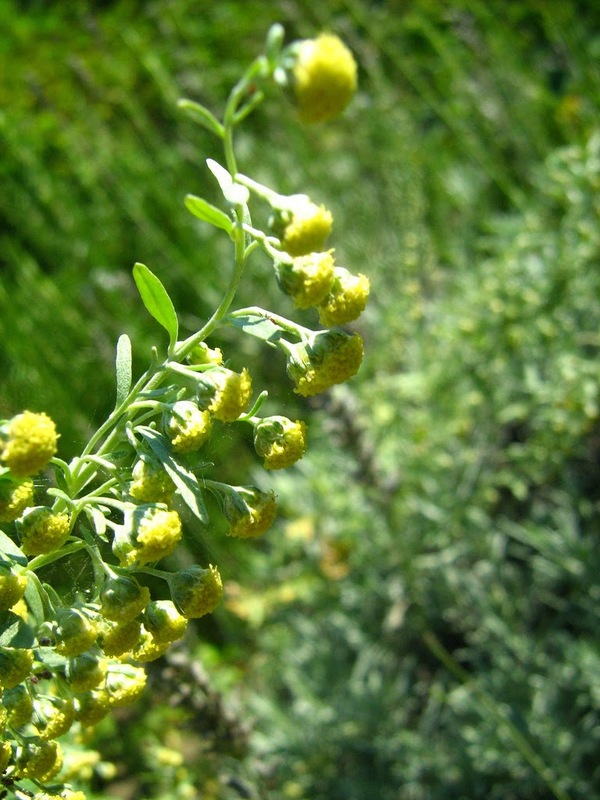 Wormwood flowers are small, tubular, pendulous and greenish-yellow. Wormwood is from Europe but has colonised America. Wormwood is native to Europe and western Asia. The Spanish brought it to Mexico where it started to grow wild and it's now found in both North and South America. 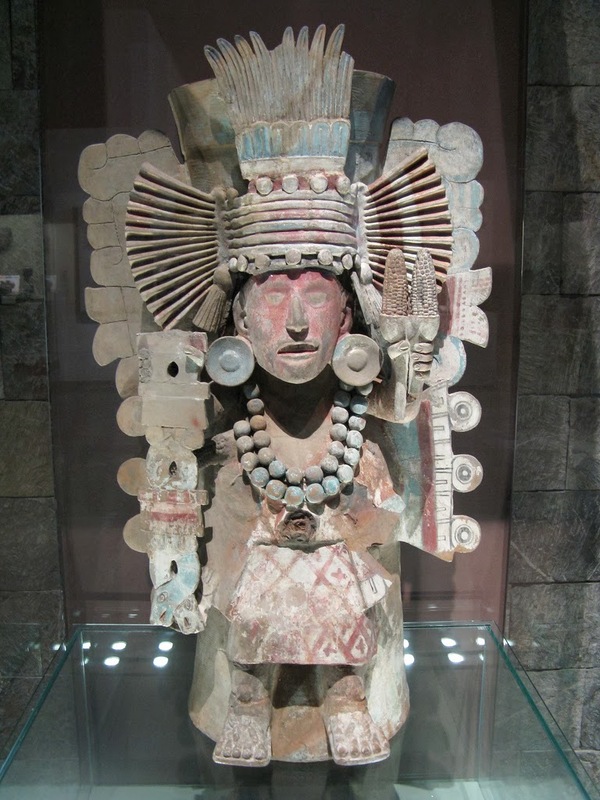 Interestingly, after arriving in Mexico, wormwood established itself in Aztec religious practice. It is associated with Tlaloc, the god of water and rain. 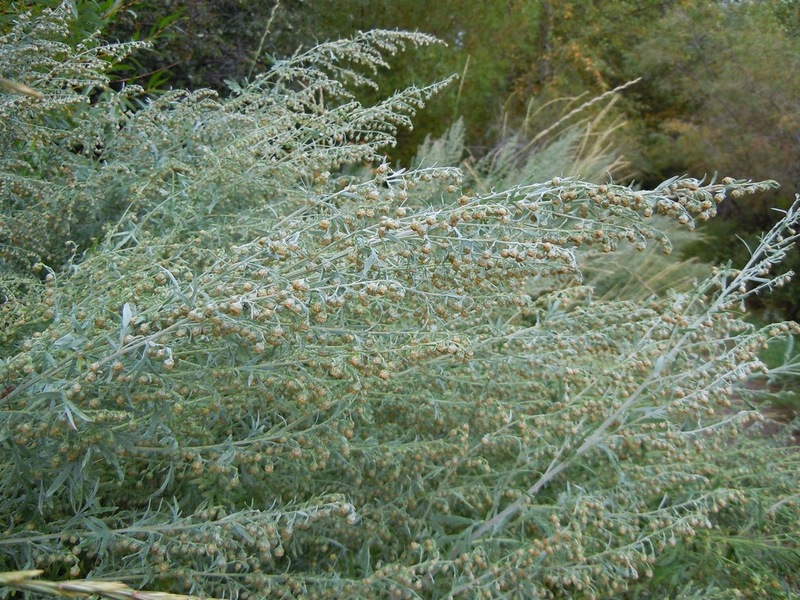 The Aztecs used wormwood to remedy illnesses involving ‘too much water’ in the body such as epilepsy, gout and leprosy. 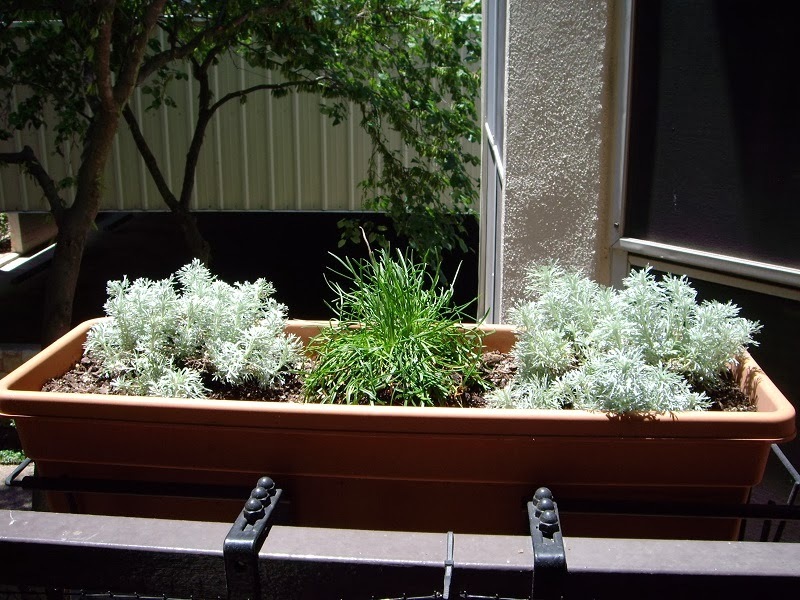 If grown in a garden, wormwood should be given good drainage and excellent sun, although it can cope in poor soil. It should be dead-headed to prevent self-seeding and then cut to the base in autumn. The main commercial source of wormwood today is Eastern Europe. Wormwood is known to stimulate appetite. Wormwood leaves and flowers are very bitter. However, the root has a warm and aromatic taste. Extracts from wormwood are occasionally used as food additives such as seasonings for food and drinks. In the Middle Ages, wormwood was used to spice mead. In 18th century, it was used instead of hops in beer. Wormwood can stimulate appetite. 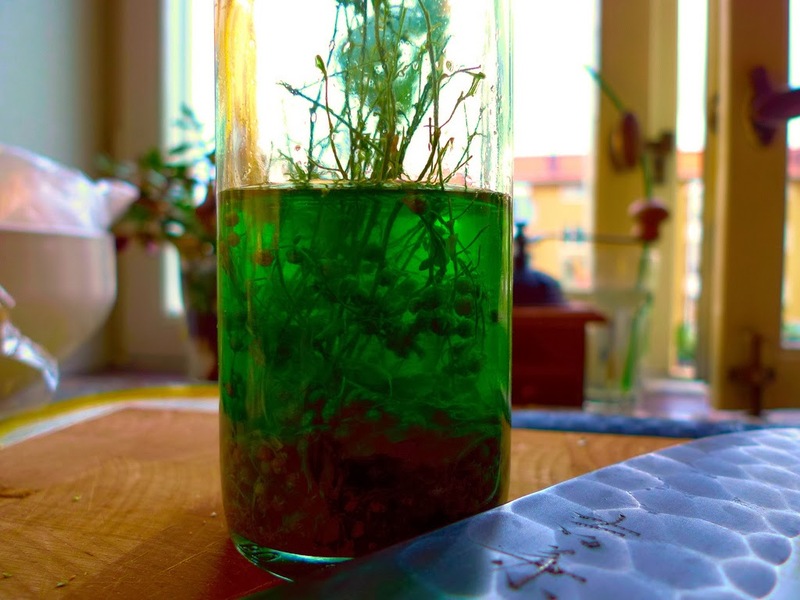 A hot water infusion of wormwood can be taken before meals or as a chololagogue after the meal. It works because the bitter taste in the mouth triggers the release of bile from the gallbladder and other secretions from intestinal glands, which enables us to digest food. Modern advice is that small amounts of wormwood are safe to consume provided they are thujone-free. Thujone can cause a range of nasty side effects. Do check up-to-date professional medical information if you’re not sure. In the US, wormwood may be used in foods in quantities of up to 0.024% provided the extract is thujone free. Wormwood also has a long history of use in medicine. Historically, wormwood has been used as an antispasmodic, anti-inflammatory, antiseptic, and a remedy for poisoning by hemlock. According to the Ancients, wormwood counteracted the effects of poisoning by hemlock, toadstools and the biting of the seadragon. 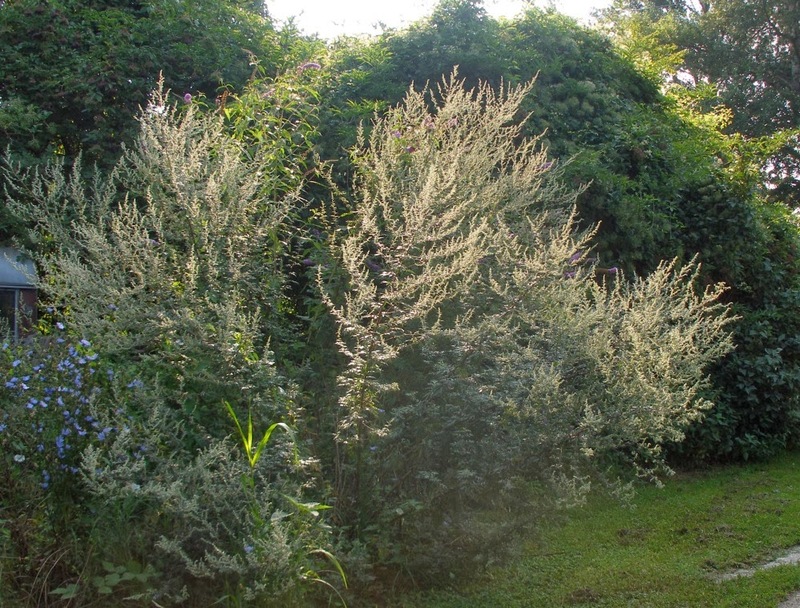 Later, wormwood was laid among furs and in bedchambers to keep away moths and insects. Thomas Tusser, writing in 1557, said: "What saver is better (if physick be true) / For places infected than Wormwood and Rue?" Wormwood is still used in herbal remedies but its modern medical properties are unproven, although it does show promise as an antioxidant, antimicrobial, antifungal and anti-malarial. Despite the lack of medical evidence you can find wormwood used today in herbal remedies for various digestion problems such upset stomach, gall bladder disease, and intestinal spasms. Wormwood is also used to treat fever, liver disease, and worm infections; to increase sexual desire; as a tonic; and to stimulate sweating. Some people apply wormwood directly to the skin for healing wounds and insect bites. Wormwood oil is used as a counterirritant to reduce pain. In manufacturing, wormwood oil is used as a fragrance component in soaps, cosmetics, and perfumes. It is also used as an insecticide. Wormwood is one of the three main constituent herbs of the spirit Absinthe, alongside green anise and sweet fennel. 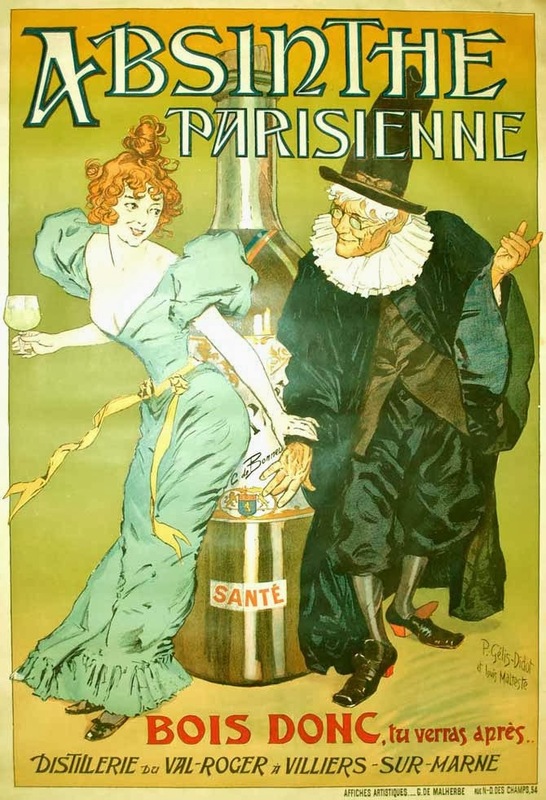 Absinthe was an extremely popular drink in nineteenth-century France, especially among Parisian artists. 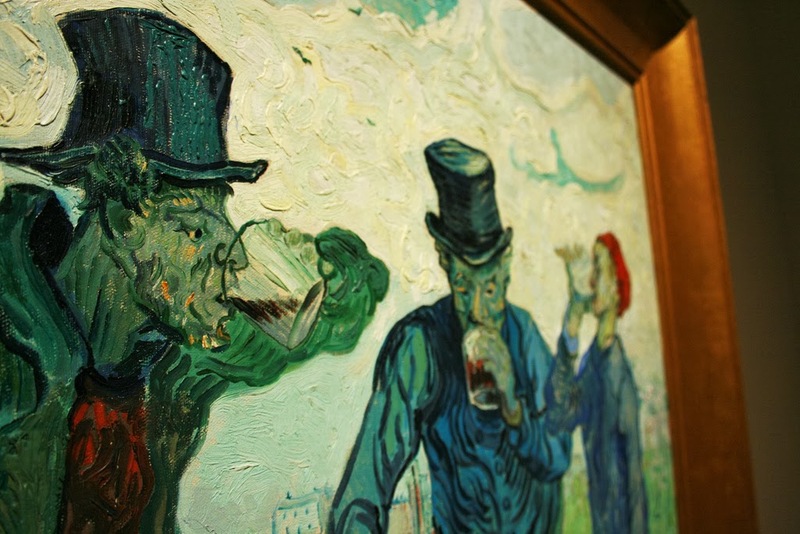 The painter Vincent Van Gogh produced some of his masterpieces under the influence of absinthe. Due to its association with bohemian life, absinthe become seen as a dangerously addictive psychoactive drug. It was banned in the USA and most of Europe by 1915. But the facts about absinthe are not so straightforward. Thujone, from wormwood, is dangerous and does appear in absinthe, but only in trace amounts. It is highly unlikely that thujone in absinthe had any serious effects. 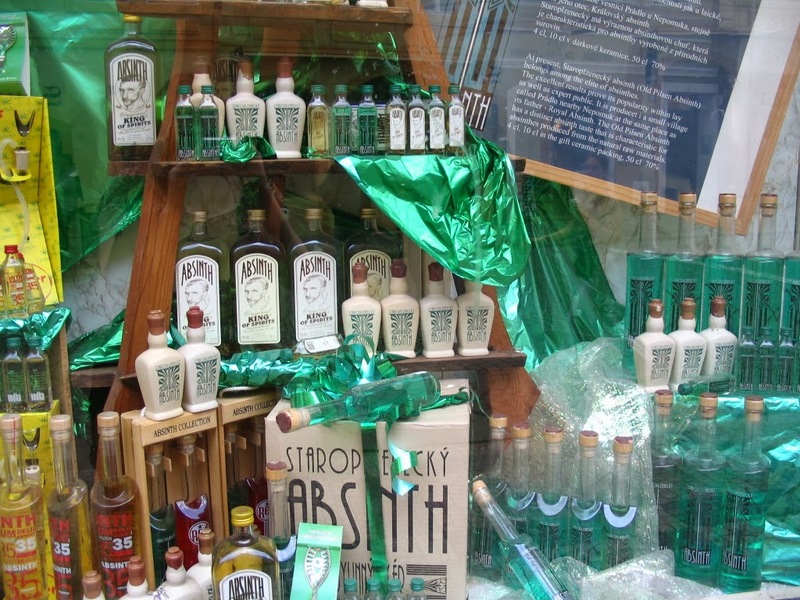 It’s more likely that people taking absinthe just got drunk! Since the 1990s absinthe has been revived. Modern producers emphasise its supposed psychoactive properties in their imagery help market it as an ‘edgy’ spirit. Wormwood appears frequently in the bible. The reason is that the King James Bible compilers translated the Hebrew word ‘la'anah’ as ‘wormwood.’ In reality ‘la'anah’ could refer to various bitter plants or substances, but wormwood stuck. Here are some instances where it appears. Proverbs 5:4. "But her end is bitter as wormwood, sharp as a two-edged sword." Lamentations 3:15. "He hath filled me with bitterness, he hath made me drunken with wormwood." Jeremiah 9:15. "Behold, I will feed them, this people, with wormwood, and give them water of gall to drink." Revelation 8:11. "And the name of the star is called Wormwood: and the third part of the waters became wormwood."